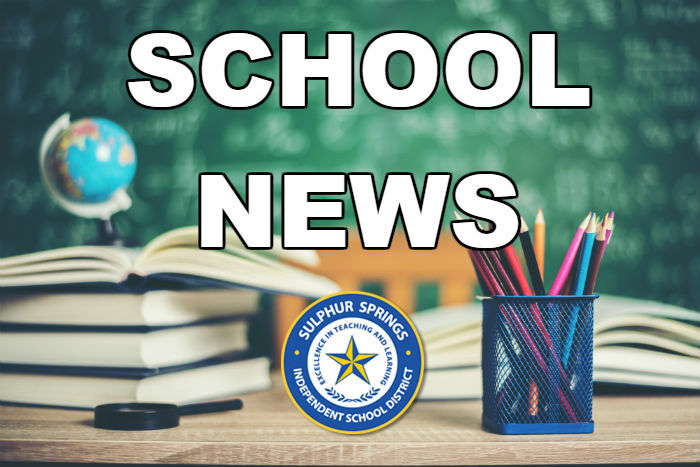 A regular meeting of the Sulphur Springs ISD school board was held on Monday, April 8, 2019. Clay Johnson was recognized for his service to the school board. Joe Boedigheimer gave a presentation of “Student Voice at SSMS”. Carmen Hammack presented a report on district math programs and Karen Phillips gave an overview of district science programs. Robbin Vaughn, Board President, gave a required report on board member training credit. Kristin Monk and Josh Williams gave updates of elementary and secondary campuses and programs. Becky Justice presented required Head Start training on the Roles & Responsibilities of the Governing Body to board members. Quarterly Investment Report for the three months ended February 28, 2019. Instructional Materials Allotment TEKS Certification Form for 2019-2020. 2019-2020 Middle School ELAR Instruction Materials Adoption – 6th Grade: Fountas & Pinnell Classroom – Fountas & Pinnell Literacy; 6th Grade: Teachers’ College Reading & Writing Project: Units of Study, Writing; 7th/8th Grade: Teachers’ College Reading & Writing Project: Units of Study, Reading and Writing. 3-Year lease of 1,400 laptops for High School. Resolution 2-19: Extending Depository Contract for Funds of Sulphur Springs ISD with City National Bank. Tax overpayment refund to BEF Foods, Inc.